The 2007 Create Awards, a creative competition for professionals and students in advertising, film and video, motion graphics, graphic communication, photography, printing, interactive media, and copywriting has announced its official call for entries beginning March 15 and closing on June 1. This year, the organization has tripled the Best of Show Award to a $30,000 Dream Studio Prize Package with products from Adobe, Hewlett-Packard, Kodak, NEC Display Solutions, Alienware Computers, Wacom Technologies, Digital Tutors, Softimage (a Division of Avid), Iomega, Wiredrive, Microtek, Inovartis, LensBabies, E-Frontier, Spam Cube, AutoFX, Corel, Pantone, Tivity Software, and Extensis. Last Fall on November 8 in New York City, Adrants and the Business Development Institute held its first Advertising Industry Diversity Job Fair and Leadership Conference. We had 500 job candidates show up to hear industry professionals talk about what life is like in advertising as a minority and how agencies are approaching the issue. The timing of the event was well planned as it closely followed hearings held by the New York Human Rights Commission at which New York City Councilman Larry Seabrook stated agencies "ran like chickens with their asses plucked clean" when asked to appear at the hearings during last Fall's Advertising Week. The Adave miracle phone promises to do everything the iPhone failed to: it will read for us, deal with clients for us and get all our media work done. We clicked "Buy it now" faster than we should have and were instantly forced into the raw white light of confusing, bewildering conference information. Awww. We'd declare shenanigans, but the Guilt is too overwhelming. This year's Future Marketing Summit: NY takes place on March 5 at the Broad Street Ballroom. Speakers include SVP Esther Lee of Coca-Cola, creative director Luanne Calvert of Google, Colin Drummond of CP+B, and a passel of other super awesome bigwigs that could only look like rock stars to us. The running theme is "Integration" and session one is called "Reality Check." Oh, that's blistering. Does this mean no magic phone? Apparently not. Slacker. Register here. Saatchi & Saatchi Worldwide Creative Director Bob Isherwood has been selected as the Clio Awards 2007 Lifetime Achievement Award recipient and will be honored at this year's 48th annual Clio Festival held May 9-12 in South Beach, Miami. The award will be presented May 10 and is the seventh award of its kind presented by Clio. Check out event details here. 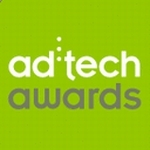 ad:tech has expanded its annual Awards show, moved it from New York to San Francisco and added a People's Choice Award. The awards, which honor online marketing work, will be held April 25 at 5:45 PM during the organization's San Francisco conference April 24-26 at the Moscone North Center. Additionally, ad:tech has added an Executive Panel of Judges (including yours truly) to, apparently, minimize any squabbles that might arise...uh...I mean to lend an air of importance to the event. Altogether, there will be 130 judges examining all the categories. Also part of the Awards will be the addition of Industry Achievement Awards to honor three long-time industry contributors who have added greatly to the industry as a whole. While the show has a price tag to attend, there will be a full on event with open bar, hors d'oeuvres, entertainment and, of course the awards presentation. The Future Marketing Summit conference series has returned and this year the forward-looking series will kick in New York March 5-6 and be chaired by Strawberry Frog's Founder and Chief Creative Officer Scott Goodson. The series will explore the theme of integration and its effect on design, entertainment, technology and delivery. Speakers at the events will include SAM's Club EVP Mark Goodman, Coke SVP, CCO Esther Lee, Google Global Creative Director Luanne Calvert and many other. If you want to go, Adrants is offering a 15 percent registration discount which you can get here.